“If it’s not addressed, then we have problems,” said left wing Jason Zucker, who dipped from a career-high 33 goals to 21. “We can’t keep going the way we’ve been going,” defenseman Ryan Suter said. 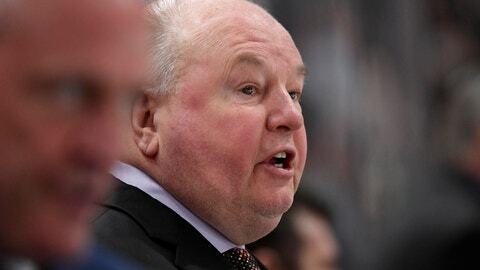 “There was never a prolonged time where everything was good at the same time,” Boudreau said. “Just energy-wise, I feel like for some reason on the road maybe we’re just a bit simpler and had more jump,” defenseman Jared Spurgeon said.